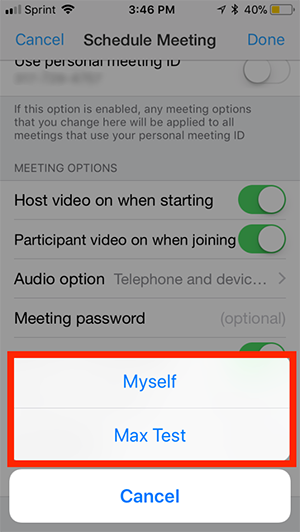 You can assign or delegate a user or multiple users in your account to schedule meetings on your behalf. You and the assigned scheduler must have a Pro or Corp license. 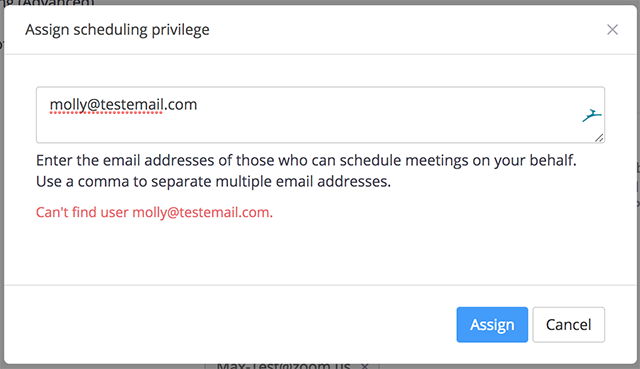 Read more about scheduling for another user with the Outlook Plugin or Chrome/Firefox plugins. 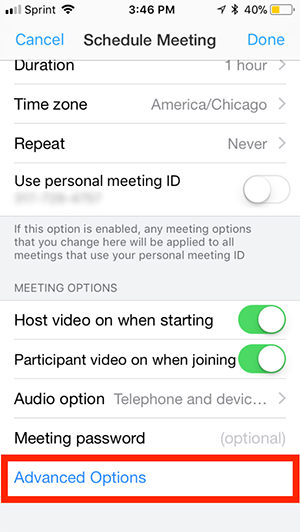 Login to your Meeting Settings. 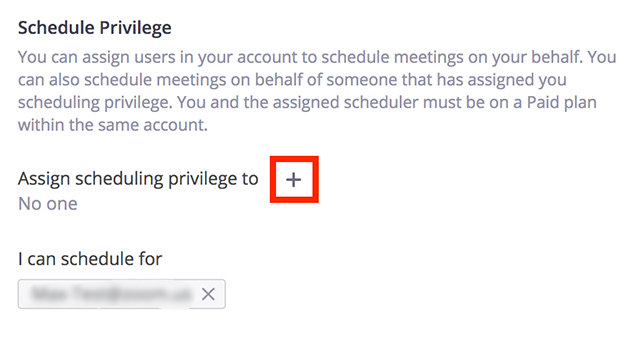 Under Other, click the + next to Assign scheduling privilege to. Enter one or more email addresses in the window, separated with a comma. 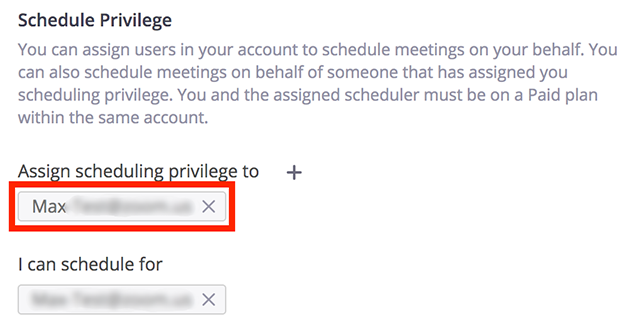 If the user was assigned successfully, they will appear under Assign Scheduling Privilege to. If scheduling privilege cannot be assigned because the user is not on your account or is not a Pro user, you will receive an error message. 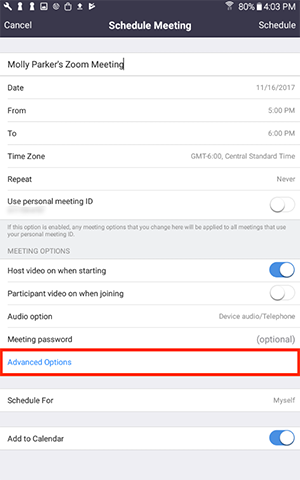 The user given scheduling privilege will need to logout of the Zoom client and login again for the scheduling privilege option to appear. Choose the user you want to Schedule For from the dropdown menu. 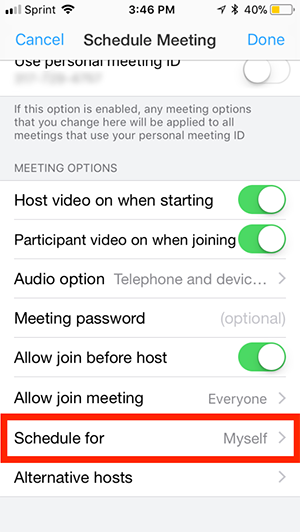 Tap the name of the user you want to schedule the meeting for. 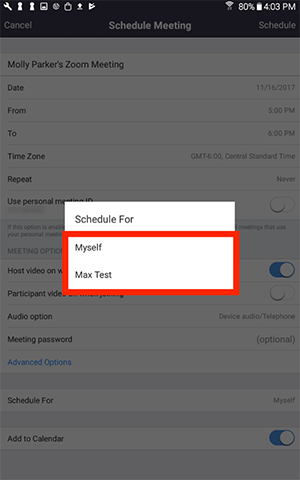 Tap the name of the user you want to schedule for.